So the new Star Trek film made a good at drawing kids into their parent’s (or grandparent’s) sci-fi franchise, but it’s not like Roddenberry wasn’t trying to get with the kids back in 1969. 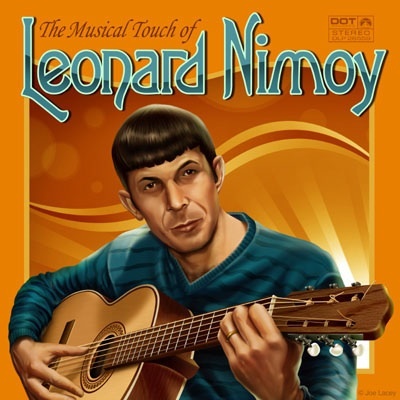 What else would explain this exquisitely ham-fisted jam by the “Space Hippies” of episode #76, “The Way to Eden”, wherein Spock grudgingly breaks out his Vulcan harp for a bit of musical diplomacy. Of course, the real-life Nimoy was anything but grudging in his pursuit of musical stardom, and these strivings — along with the occasional nod to the breathless rhapsodies of Shatner and other ST notables — are admirably documented at Maiden Wine, with troves of all-but-lost treasures including never-before-seen footage from Nimoy’s notorious “Ballad of Bilbo Baggins” music video. Naturally, all of this has inspired fans to join the musical chorus in a variety of ways, whether it’s hand-carving “an exact working replica” the aforementioned Vulcan harp. (It’s tuned to a diatonic, dontcha know! ), dressing up as the “Mugato” and moshing with Sacramento’s Trekker punks, The No Kill I or recording novelty rockers like “Jim Beam Me Up” with Sacramento’s OTHER rival Trekkie band Warp 11.